Here is Ghost House 003: The Apocalypse EP by K1. Enjoy the release and look out for GH 004 by Spooky. Here we go. Here’s my 20th February ‘Grimey Mondays’ show with 10 WORLD EXCLUSIVE SPOOKY PRODUCTIONS along with tracks from Trends, P Money, Blacks, D.O.K, JME, Rude Kid, Flava D, StayFresh, K1, Moony, Faze Miyake, Mella Dee, Big Narstie, Mr Virgo, Dexplicit & many more! So click HERE or the logos for the download! Dont forget I will be down Lock Down @ Lakota, Bristol on Friday 2nd March. Click HERE for more info. My ‘4 hour grime bonanza‘ from Sat 18th Feb on Deja Vu FM is still up for download so click HERE for download and full tracklist! 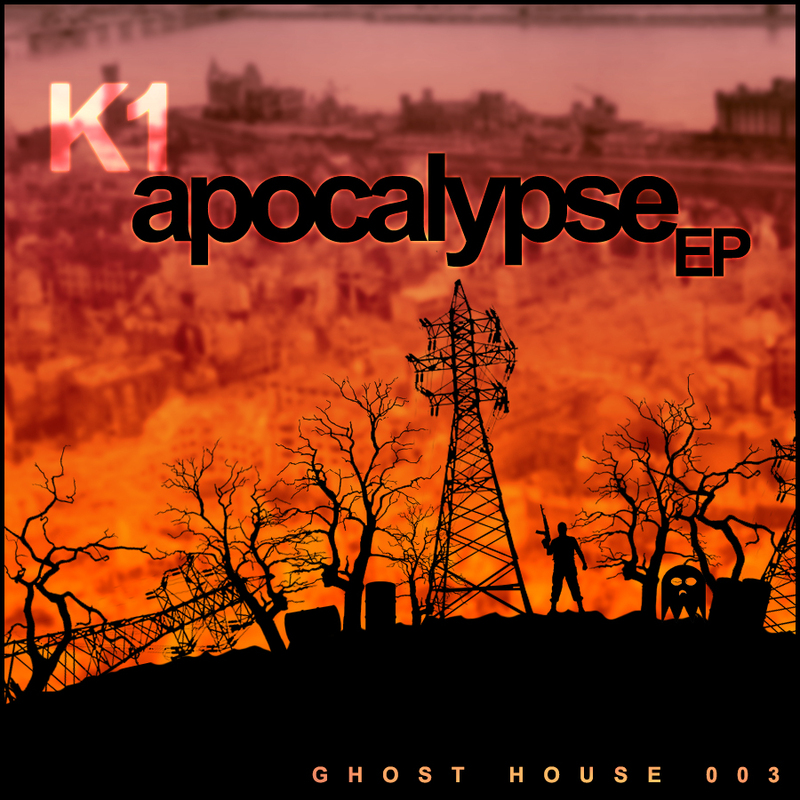 The ”Apocalypse EP” by K1 is ready to drop on Monday 27th Feb on my Ghost House label. Click HERE or the EP cover for more info and the sampler. A track that should have been released on the A.R.M.Y imprint back in the day but then got lost in the archives, Rossi B & Luca’s ‘Mind The Gap’ has now resurfaced on Senseless Records and has been released today, Monday 20th February 2012, with the original and instrumental along with remixes from myself Spooky, Teeza, Sarantis & Submerse. So click on the logos below to buy this badman package. Support grime and buy good music! Here we go. 4 hours of grime mixed live on Deja Vu FM by myself Spooky. Covering for DJ Eastwood & Matty D. No long ting. Click HERE or the logos for the download. Here is Ghost House 003.
on Juno, iTunes, Amazon & many more digital stores! Support the release when it lands! GH 002: Allstars EP is OUT NOW! Click here to buy the EP off Juno, iTunes or Amazon. GH 001: Rusty Bell EP is also OUT NOW! Click here to buy the EP off iTunes. Here we have my 13th February ‘Grimey Mondays’ show with a WORLD EXCLUSIVE from Kwam MC along with tracks from myself Spooky, Mr Virgo, Swifta Beater, D.O.K, Flava D, JME, D Double E, Moony, Dexplicit, Teddy, U.S.F, Faze Miyake, Discarda & more! So click HERE or the logos for the download! My next booking is Lock Down @ Lakota, Bristol on Friday 2nd March. Click HERE for more info. ‘Lord Of The Hypes’ is out NOW! Buy the single from the Plainface Bandcamp by clicking on the cover above or buy it off the iTunes by clicking the logo below. Big up all the Plainface Records massive!